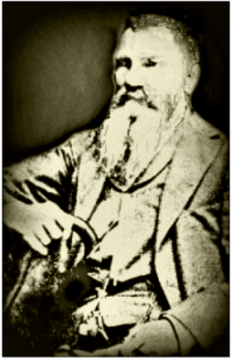 Marcus Herring was born in Mississippi, on October 11, 1828 to William and Martha Lowe Herring. His father state congressman in Mississippi. While Marcus was growing up, the family’s nearest neighbors were Choctaw Indians. In 1836, the Herrings moved to Carrollton, Mississippi. The boy received his early education at Judson Institute in Middleton, Mississippi. In 1845, he went to Centenary College in Jackson, Louisiana where he studied law but did not receive a degree. He was admitted to the bar in Carrollton in 1848 and then relocated to Shreveport, Louisiana where he began an illustrious career as an attorney. He first partnered with Thomas S. Land, who eventually became chief justice of the Louisiana Supreme Court. Apart from his law business, Herring purchased and published a local newspaper for a while. It is thought that overworking began to negatively affect his health so in 1850, Herring left for Texas to find a more suitable environment. On his way, he and his horse crashed through a bridge in Shelbyville and Herring was injured. In 1853, Herring moved to the Austin area and served as the first assistant secretary of the State Senate. One year was enough to determine that life in the capital was not for him so finally, Herring came to Waco where he established a new law practice with James Nowlin. 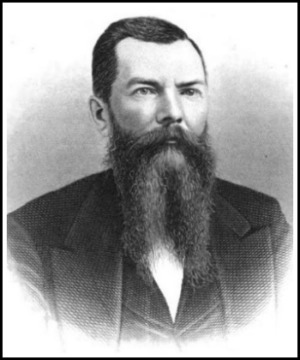 Herring enlisted and fought in the Civil War before returning home to Waco. During the War, Nowlin had died in battle so Herring made a new partnership with future governor Richard Coke, another Waco Lodge member. Marcus Herring died on November 27, 1897. At his funeral, the double file line of masons and oddfelows marching past his grave took two hours to make one pass. It was said to have stretched 1.5 mile long. In 1925, a new lodge split off from Waco Lodge and it took the name Herring #1225 in honor of Brother Herring. Herring Lodge has since merged its membership back with Waco Lodge. Herring Avenue in Waco also bears the old judge’s name.